Since All Designs Are Custom Made Exclusively For You Please Allow 2-3 Weeks For Delivery. Jaime realized the name pendants of her childhood were very rare to find. Who doesn’t remember wearing their name when they were a child? Getting a beautiful personalized gift from your grandparents? 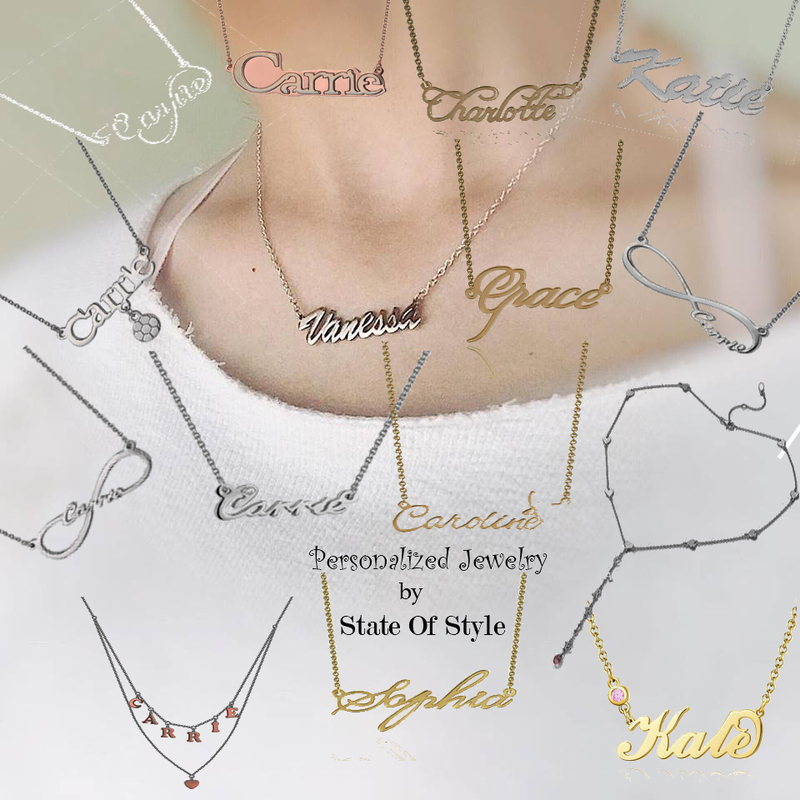 Where can you find a place that can make any name, any word any personalized piece of jewelry? We tried…… local retail stores?….they don’t want to bother with it. Jaime spoke to her business partner Drew, and they came up with a plan to design and sell Sterling Silver Personalized Jewelry. They even came up with a way to do photo enhanced styles, that reproduce a picture. Now if your looking for that perfect piece for yourself or gift for someone you care about, State of Style has it. Looking for the most personable bridesmaid gifts? How about each bridesmaid having their own matching name pendants. Think these designs are only for women? Think again, Women, Men & Children will love and cherish a personalized piece from State of Style!